A few technologies have radicalized sustainability. Here are five. 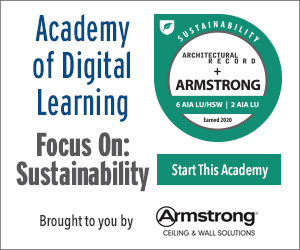 Explain how building materials and systems such as ductless HVAC and structural timber systems affect building sustainability and carbon footprint. 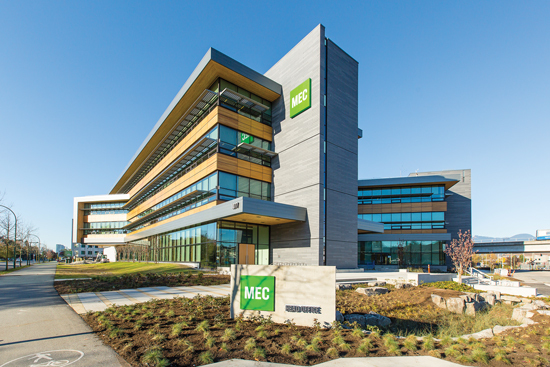 Discuss how building envelope design, particularly insulation choice and thermal bridging at window frames, impacts building energy efficiency and sustainability. Describe how building materials and product solutions, including underlayments and other unseen elements, can improve building occupant health and productivity. List recent trends in product development and application that impact building performance and sustainability. Integration and holism are hallmarks of sustainable design today. In fact, being green is all about being the ultimate design polymath—or to use an antiquated term, a true Renaissance man (or woman). Green building requires some knowledge, if not mastery, of everything from transportation analysis and life-cycle assessments (LCAs) to mechanical engineering and materials chemistry. No wonder sustainability consultants are in such high demand. One of the truisms of this complex and multidisciplinary world of green building has been that no single product or system can, on its own, make a building green. Yet it can be argued that a number of specified items do have, in fact, an outsize influence on the building’s success. A few relatively recent innovations have shown that incremental and sometimes sudden game-changing advances are possible. Some have humble beginnings—industrial lint from fiber spinning, for example, long a waste stream in search of a purpose—while others hail from America’s heyday in aerospace invention. These novel creations have influenced how architects and interior designers even define and measure sustainable performance. This learning unit considers five innovative products or systems on the market today that have disrupted and realigned the world of sustainable design. Two of them play unique support roles: closed-cell insulation and recycled-fiber floor underlayments, while another is a structural system: mass timber. Two others are unitized products delivering novel advances in their categories: ductless split air-conditioning and vinyl-clad and -framed fenestration assemblies. While they are all very different with unique potential impact on green building projects, each one has had a disruptive effect on the trajectory of underlying green design trends. Let’s start with a technology for more flexible and efficient HVAC systems, called variable refrigerant flow zoning, or VRF. 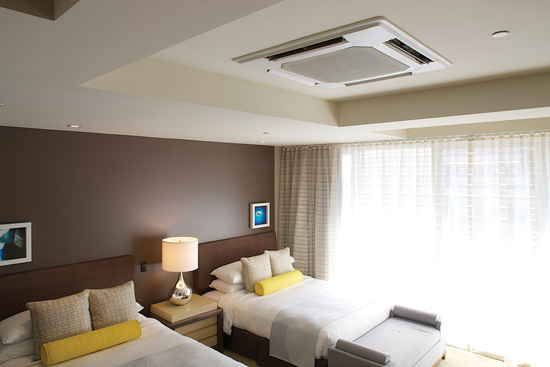 More and more, architects worldwide are adopting these products pioneered in Japan that, similar to ductless mini-splits, push conditioned refrigerant rather than air to spaces requiring cooling or heating. This is a radical notion in the United States, where more than three-quarters of buildings and residences use ducted conditioning. Yet, for the green building world, the rate of adoption is high, with increasing use on the commercial side. Why? Headquarters for outdoor retailer Mountain Equipment Co-Op, by architect Hugh Cochlin with Proscenium Architecture + Interiors, uses fir and glued-laminated timber columns and beams with nail-laminated timber floor decks. The highly energy-efficient variable refrigerant flow (VRF) zoning system was used in Hotel Wilshire, which earned key LEED credits. A second area of unexpected yet radical change is in structural systems, where mass timber is suddenly competing with concrete, steel, and unit masonry. Embraced enthusiastically by some architects, these systems include cross-laminated timber (CLT), glue-laminated timber (or glulams), and also nail-laminated timber (NLT, or nail-lam), which is created from dimensional lumber stacked on edge, fastened together with nails, and often topped with plywood sheathing to create a structural diaphragm. (One architect called the concept “plywood on steroids.”) All these thick panels and massive columns and joists are being used for midrise projects in North America and Europe up to 15 stories high, with projects on the boards that will create innovative skyscrapers—of timber. According to the USDA’s Forest Products Laboratory, next-generation lumber and mass timber products are becoming the latest innovation in building, enabling longer wood spans, taller walls, and higher buildings. And it’s not just the time-tested benefits of timber driving this adoption. “Wood can contribute considerably to reducing carbon emissions associated with the built environment—both embodied and operational,” adds Rebecca Holt, a LEED-accredited sustainable building advisor and senior researcher with Perkins Will, because wood stores carbon and simultaneously offsets emissions from conventional building materials. Plus, there’s also the pure excitement of the notion. A recent study by Perkins Will on tall wood buildings and a TEDtalk by architect Michael Green on wood skyscrapers, for example, have become viral sensations. 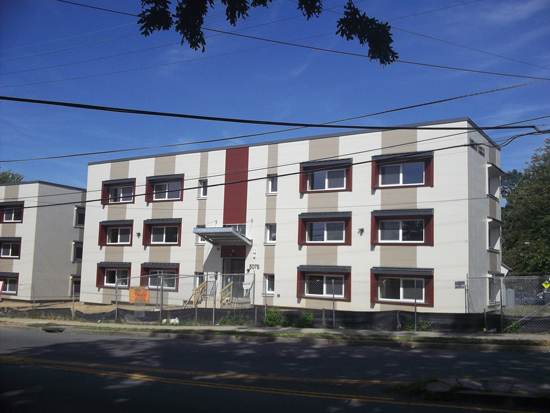 For the Weinberg Commons affordable housing renovation in Washington, D.C., the Passive House certified building with very low energy usage was designed by architects Matt Fine and Bruce Zavos of ZA D.
Add highly responsive multi-zone comfort to any building project, in any climate. Mitsubishi Electric’s CITY MULTI H2i® R2- and Y-Series VRF systems provide you with flexibility to fit the needs of any building. Enjoy 100% heating capacity at 0°F outdoor ambient, and 85% heating capacity at -13°F outdoor ambient. LuxWalk® is an acoustic underlayment for glue-down and floating Luxury Vinyl Flooring applications that enhances the performance and durability of luxury vinyl flooring. Featuring environmentally responsible manufacture, it is made from materials derived from discarded water bottles diverted from landfill. LuxWalk helps minimize impressions and indentations that can occur with LVF. Polyiso is a closed-cell, rigid foam board insulation used primarily on the roofs and walls of offices, health facilities, warehouses, retail and industrial manufacturing facilities and educational institutions. Because of its high thermal performance, it is the product of choice for energy-aware architects, builders and consumers. reThink Wood represents North America’s softwood lumber industry. We share a passion in wood and the forests they come from. Our goal is to generate awareness and understanding of wood’s advantage in the built environment. Wood can help balance cost, code and functionality. Visit reThinkWood.com to learn more and join. As an ENERGY STAR® partner, Simonton Windows & Doors is dedicated to providing products that help lower heating and cooling costs and reduce energy consumption in homes across the country. For nearly 70 years, Simonton’s hallmark has been to deliver award-recognized, quality windows and doors with the industry’s shortest most dependable lead times. Simonton is also proud to be part of Ply Gem Building Products, joining their quality brands that help design beautiful, low maintenance homes. For more information, call (800) SIMONTON (1-800-746-6686) or visit simonton.com.